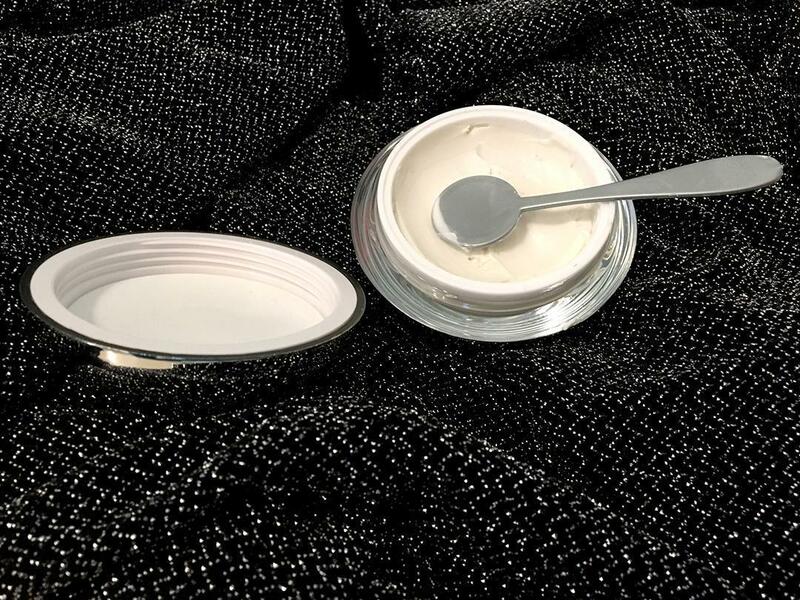 As a woman who is always on the hunt for the latest and greatest in anti-aging skincare, I was immediately drawn to the promises of “firming” in this collection. Overall, I was shocked and awed by how well this collection performed and by how radiant it made my complexion. Everything from the luxurious packaging to the creamy feel of the products to their effects was perfect. The first product I used from this collection was the Cosmic Firming Mask. The packaging was absolutely breathtaking, with a beautiful mirrored silver container accented by white touches. Accompanying the mask was a stunning silver spoon for applying the mask to the face. The product itself was very thick and creamy with a luxurious cooling feeling as it is applied to the skin. After letting the mask sit for a few minutes, I rinsed it off. The formula was relatively easy to remove and it left my skin feeling smooth and tight as well as very hydrated. The next product I tried was the Cosmic Firming Serum. Like the mask, the packaging was beautiful with a mirrored silver finish and a classic pump top. 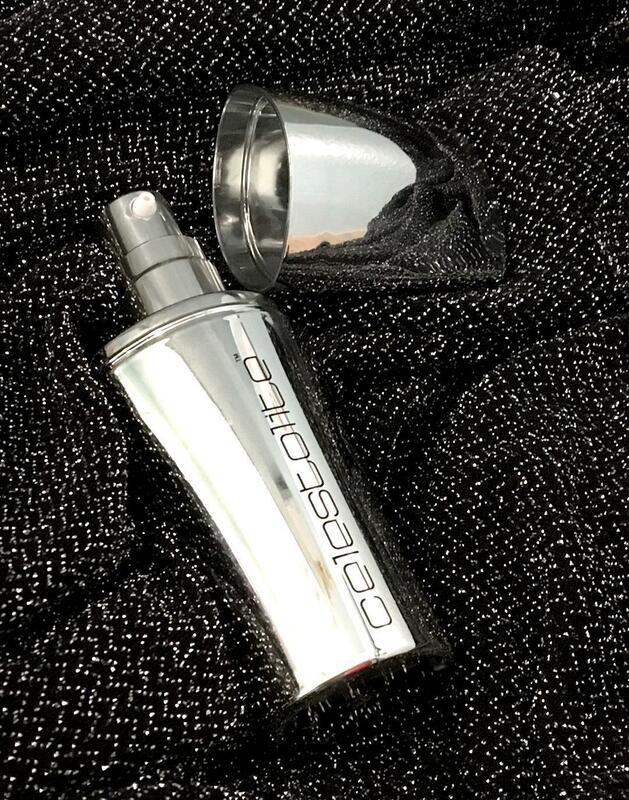 The smell was the first thing I noticed about the product – it was stronger than I expected, with an almost chemical aroma, although it disappeared as soon as I applied it to my skin. The serum went on very smoothly, although I did not detect any change in my skin after applying it. The Cosmic Firming Cream ended up being my favorite product from this collection. The packaging was stunning, with a mirrored silver finish and white accents. The formula was very creamy and rich, like the mask, but blended into my skin flawlessly. 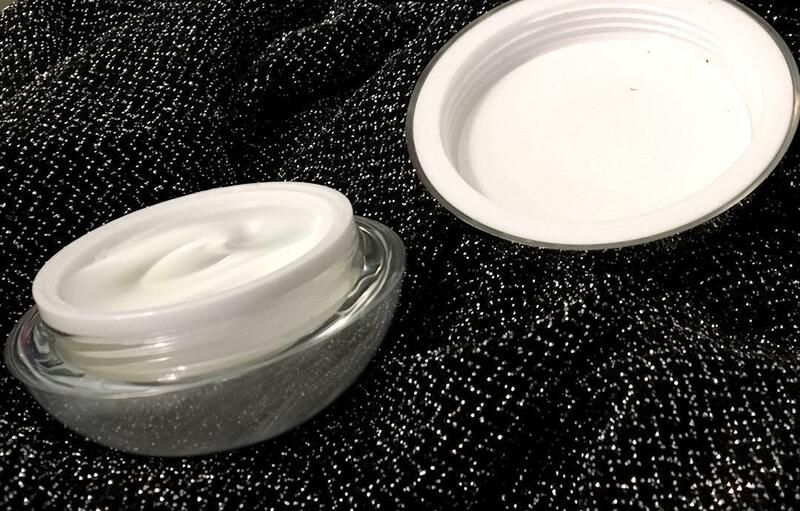 Very little of the cream went a very long way, making application a breeze and indicating to me that the product would last a very long time even with daily use. After letting the cream soak into my skin, I was repeatedly surprised by how effective it was. My skin has never felt so soft and smoothed, and looked so radiant! Even after sleeping with it on and waking up in the morning, my skin still feels and looks amazing, and not the least bit greasy or oily. Ariel Frankeny is a beauty and fashion enthusiast from Orange County, California. 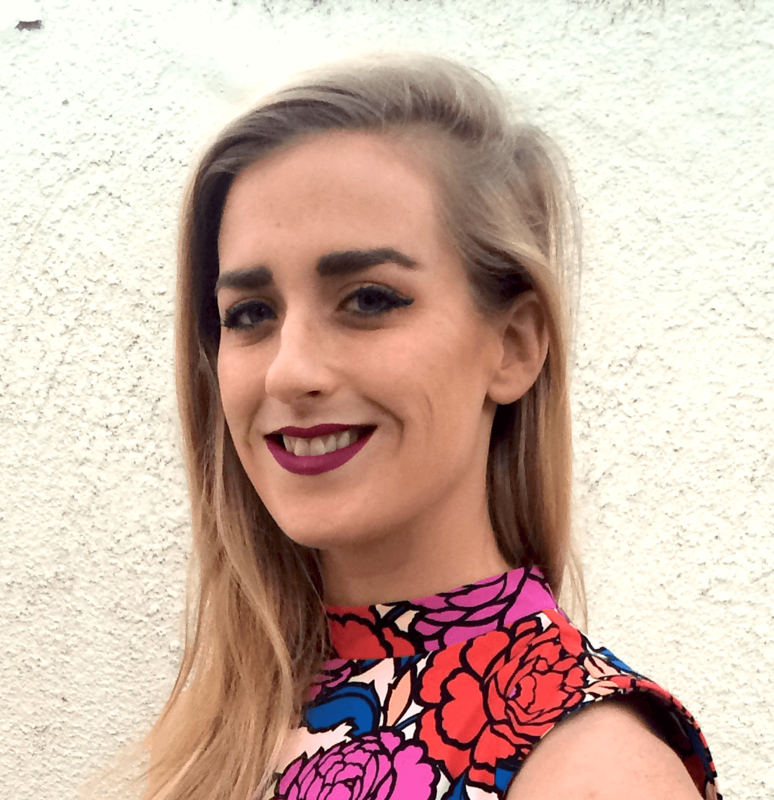 Having previously worked in the prestige beauty industry as a marketing and eCommerce specialist, she is obsessed with anything cosmetic and skincare related. How cool that the mask comes with its own spoon. The smell on the Cosmic Firming Serum might bother me. I hate anything that smells on my face even when it goes away. The cream sounds so good. All of these products really do sound so good. I see all these wonderful reviews and I can not wait to try this myself. July 19, 2018 @ 4:04 am Wendy R.
Firming is also something that I look for in anti aging products. I’ve used a lot of products over the years and wish that I had been more diligent with the skin around my mouth. 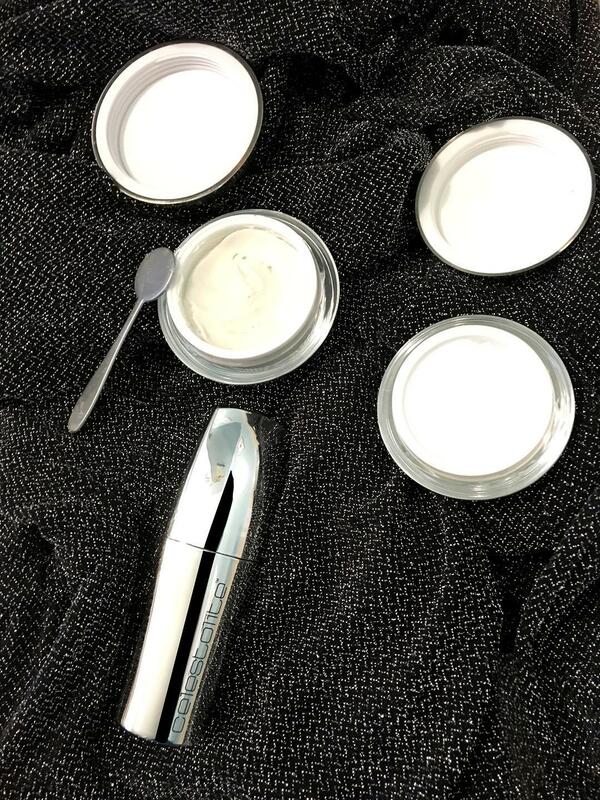 I am definitely drawn to firming products and I love how luxe the Firming Cream seems to be. I think I might well give it a try. I would love to win this. I will be 69 in Aug. and cannot find anything for my skin that will hydrate and make it look healthy. The reviews look great.. can’t to try it! Wow, this line sounds lovely!Im always looking for antiaging products! I look for firming because im in my 40’s and as we age things start to sag. The packaging is gorgeous and Ive been looking for askincare line that works for me. My mom had purchased the firming cream and I fell in love!! Thank you for making something so indulgent that works!! July 20, 2018 @ 3:12 pm Tina C.
I need the firming cream for sure lol Gravity and age aren’t being very kind to my skin these days. Thank you for the chance to win this amazing giveaway. I really like the bottle looks. I need some of this like for real! Looks like a awesome product would love to try it! My wife would love to try this! She has sensitive skin and is always looking for something that works for her. WOW what a great product. I’m all for something to help my dry skin. Thank you for the chance to win and try it out. I like that you gave a lot of information. I’d love to try these products. I haven’t found a firming cream that has worked yet. The firming product would probably be my favorite as well. I think that would work best for my skin needs. The mask and the cream sound absolutely amazing and right up my alley. I am currently using the Sulwhasoo Ginseng line and have just repurchased so after they are finished I might try this line. These sound like fantastic products. I am always looking for great skincare! Look how elegant these products Look! Definitely trying these! I’m in my 50’s so this product sounds good for my skin. I need some firming. I think the mask would be great to use for special events. These look like great products and I love the packaging. I could really use the firming mask. Sounds exactly what I am looking for! Thank you ! Thanks for the awesome review. Seems like a very good product that I would love to try. I think I need it all! My skin is very dry and I have yet to find a good regimen to hydrate my skin enough. These products sound like they would be amazing at tackling my dryness as well as fighting signs of againg. I love skin care and would love to try these products! Sounds wonderful. I would love to try this product. You’re review makes it sound amazing. Would love to try this!!! I am a skin care junkie, and related to you immensely when you said you jumped to try anything with a firming benefit. The women in my family generally have great skin, but we are prone to pronounced jowls and sagging. I just hit my 30th birthday so I think it’s time to start looking for an anti aging face cream . This sounds wonderful and all the reviews are great . Might give it a try . I really like the packaging too! I’m always happy when I find a good product where a little goes a long way! If it can work miracles I’d love to try it. My skin has aged this last year throughout pregnancy. Oh my goodness!! I am so excited to try this amazing product!! I have heard such wonderful feedback!! I have never heard of your brand and I have always taken care of my skin as I am 62 and look like I am in my 40’s! I would love to try your product and would love to win your product! Thank you for the chance! January 17, 2019 @ 5:28 am Theresa C.
Awesome review! Love that the product even worked overnight! Looks fab! I’d love to try it! I love the look and design of all your products, would really love to try it! I am SO in need of this for my new fine lines! Thanks for the info! The packaging alone is temptingly elegant and the products sound superb. I would love to win this i need some moisturizer badly! And i always hear good things about this brand. Sounds amazing. Thanks for sharing. The textures look really exquisite! And a little spoon! So extra. I would absolutely love to be blessed enough to win this!! good luck to everyone entering and i pray that i get picked! Ive heard Amazing things about this mask and i can’t wait to be able to be the one telling others about it! The firming cream sounds awesome! I would love to try it. The reviews are awesome, would love to try. I am obsessed with skin care and more so since I am older. The mask looks amazing and what a better way to put it on than with a spoon! Would love to win! I love that you didn’t need to use a ton of the cream. It’s so disheartening when the container is small & you use it all so fast because of the amount you have to use every time. Dying to try this in NYC! I never tried a firming mask before. This sounds interesting. This sounds like an amazing product! This sounds an amazing set. I would love to try this. My skin could use some TLC! Great review! Love the packaging! Sounds like a wonderful skin care. Your products look amazing!! I will definitely be placing an order after reading all the amazing reviews!! This sounds like it works very well. Wow seeing all the great reviews and looking at the details and pictures really makes me want to try it. I’m in need of firming an toning my face, great reviews. I sure could use this! I think my mum would love to give this a try! Thanks so much for sharing! I’d love to try this! It sounds great! I always wondered what this was for. February 15, 2019 @ 6:29 am Andrea p.